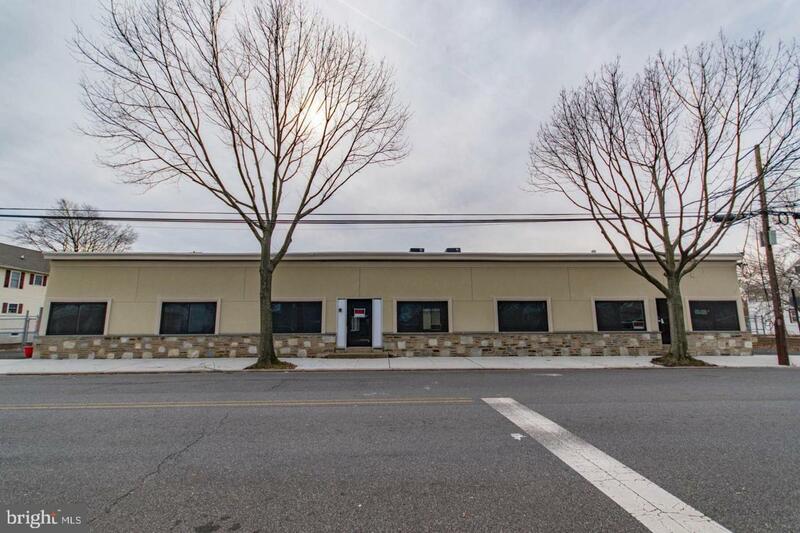 This commercial building in Historic Bristol Borough is a great opportunity! From the street, the exterior will catch your eye. It has had a quality face-lift done. Dry-vit and stone work completed. Inside the building is ready for the new owner to complete as needed. A blank slate to renovate and create a custom space. If leased, owner can fit-out the interior to the end users specifications. Two current baths. The main building on Otter St is roughly 2,600 square feet of space. The garage and just under 2,000 sq feet. On the lot there is more than enough room for parking. The interior features all new electric, plumbing and HVAC systems throughout. There are separate utilities/electric service , so if Bristol Borough approved, it could be divided for multiple uses. Just like the main building, the rear garage could be divided for different uses & users. It has two large overhead doors for access. The options are many for this property. Perfect for landscaping company, contractor, engineer, etc..There's room for professional offices and more than enough storage space and parking. Create your custom business space and watch your company grow!